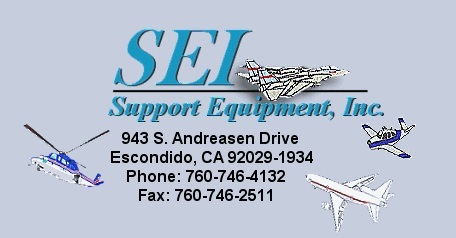 Support Equipment -C&H Machine, Inc.
Support Equipment, Inc. (SEI) builds durable, manual and powered hydraulic fluid and dielectric solution servicing units for military, aircraft, and aerospace applications. Users trust SEI’s fluid filtering units to keep their aircraft hydraulic systems and circuit board dielectric solution systems contaminant-free and operating at peak efficiency. Hydraulic oil at a standard micron level is unacceptable for use in high performance aircrafts such as military helicopters and fighter jets. Our fluid servicing units filter oil’s particulates down to the level required by advanced aircraft designs. Similarly, dielectric solutions used to cool high voltage circuit boards in sophisticated electronic equipment can contain relatively large, conductive particulates which can create bridges between leads, causing short circuits. SEI’s fluid servicing systems filter these particulates down to sizes small enough to eliminate the possibility of shorts. Support Equipment’s filtering systems can also be used to recycle dielectric fluids, by eliminating contaminants and filtering fluid back to “new” purity levels. Because aircraft dielectric fluid for advanced electronics can be very expensive our fluid servicing equipment will help lower operating costs and maintain optimum performance. Our rugged filtering units guarantee fluid purity by filtering contaminants through a series of high-resolution filters placed in the units’ vents and suction lines, as well as in-line between the service hose and the aircraft’s hydraulic or electronic equipment’s receptacle. All of our systems are manufactured and assembled in-house, and are 100% tested prior to shipping. SEI offers repairs, refurbishing services, and spare parts for all our fluid filtering units. We often work with local private and commercial aviation companies to adapt or refurbish our filtering systems for use with Cessna’s and other smaller aircrafts. As a subsidiary of C&H Machine, Support Equipment, Inc. maintains the same dedication to excellence in product quality and customer service that has made C&H an industry leader. 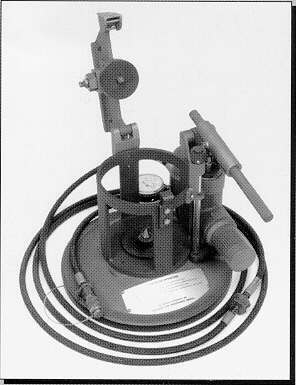 Contact us today to order your fluid handling system or for more information.